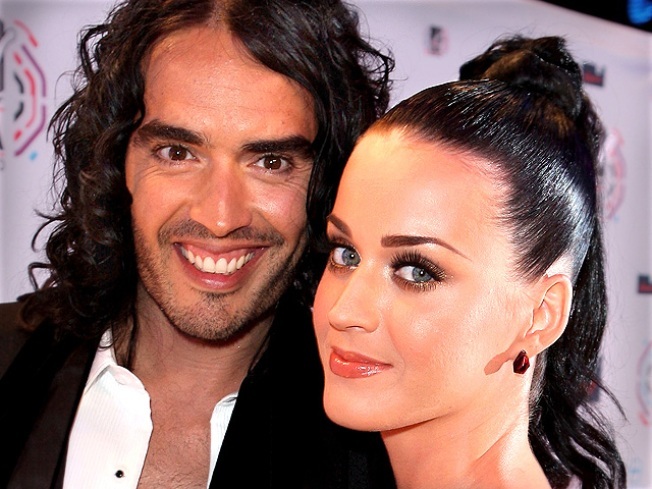 The Japanese government is not a huge fan of Russell Brand, according to his popstar wife's tweets. The British comedian was deported from the country while trying to see Katy Perry at a concert in Tokyo, according to the famous couple's Twitter accounts. "So…my husband just got deported from Japan," Perry tweeted to her seven million-plus followers on Sunday. "I am so. sad. I brought him all this way to show him my favorite place." According to Mrs. Brand, the funnyman got the boot because of crimes he committed "priors from over 10 years ago." Brand has not been shy about his past with heroin abuse and according to a 2006 interview with The Guardian, he had been arrested 11 times. It's unclear what exactly happened to Brand, as Japanese authorities have not confirmed the deportation or Perry's comments, the AFP reported. "We don't make comments on such a matter because of privacy concerns," a Tokyo immigration official said. Still, the comedian made light of whatever situation he was in, Tweeting pics and funny tidbits from his alleged holding room. "Planning escape from Japanese custody. It's bloody hard to dig a tunnel with a chopstick," he tweeted. Perry was also quick to support her Japanese fans, despite the mishap. "...But of COURSE I ♥ my Japanese fans & the show #MUSTOGOON no matter the daily aftershocks or husband kidnappings! #it'snotrightbutit'sokay," she wrote.